Mary Smith and Carmen Mason felt it most fitting to dedicate this year’s Voices to Ivy Berchuck, a long- standing member, colleague, coordinator and friend of many at the Institute of Retired Professionals. Her acuity and warm charm, her wit and generosity were enriching ingredients in the lives of all who knew her, and her wonderful memoir pieces were waited for with high anticipation. She never let us down. She inspired and enlightened until the very end. We miss her terribly. We hope the two memoir pieces we include in this issue will show you why. Ivy (Schiff) Berchuck was born in Brooklyn, NY on July 20, 1933 to parents Joseph and Jeannette Graber. As a child she possessed a passion for literature and writing that continued throughout her life. After graduating Salutatorian from James Madison High School, Ivy went on to attend Brandeis University. She married Lawrence Robert “Bob” Schiff and moved with him to suburban Chicago where they lived for several years and started a family. After moving back to New York, Ivy, now a mother of four, earned a Master’s Degree in Education at St. John’s University. For many years she worked for the New York City Public Schools, first as a classroom teacher, then as an administrator, developing and implementing curriculum for New York City’s Gifted and Talented program. Despite being widowed twice (Bob Schiff and second husband, Irving Berchuck), Ivy never lost her optimistic spirit and joy of life. 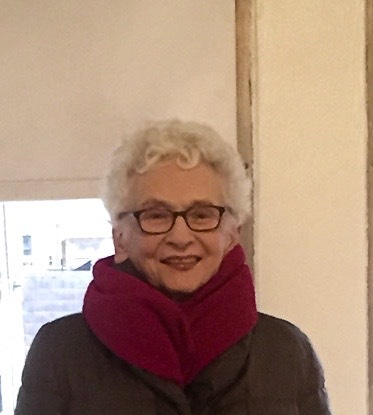 Having retired early from the NYC Department of Education, Ivy engaged thoroughly in the arts communities of New York and was a member of multiple book clubs. An enthusiastic member of the IRP, Ivy coordinated a number of study groups including Aging in Film, Feminist Biblical Figures, Food and Culture, and Jane Austen. She also served on the Admissions and Curriculum Committees. Always active and over-scheduled, Ivy’s Tuesday and Thursday mornings were sacred IRP time. Ivy had four children and nine grandchildren. She is also survived by her brother and sister- in-law. All miss her greatly and treasure memories of this very special person. Ivy passed away on June 11, 2016 following two years battling pancreatic cancer. Up until four weeks before her death, Ivy enjoyed a life rich with theater, opera, classes, cherished friends, and loving family.